New Zealand futsal international Atta Elayyan was one of the victims in Friday's Christchurch mosque shootings. 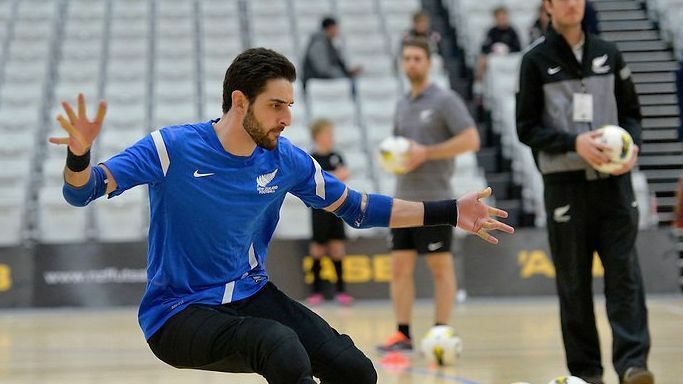 New Zealand Football has confirmed that international futsal goalkeeper Atta Elayyan was one of the victims in Friday's Christchurch mosque shootings. The 33-year-old, who had represented the Futsal Whites 19 times, was praying at the Masjid Al Noor Mosque next to Hagley Park when he was shot, the governing body said. Deryck Shaw, New Zealand Football's (NZF) president, has resigned after failing to appropriately deal with a bullying scandal in the national women's team. In July, 13 players refused to play for the team, forcing Andreas Heraf to resign as head coach and technical director. And an independent panel later concluded that the Austrian had "bullied and harassed" players. New Zealand Football (NZF) has issued an apology after an independent review found women players had been "bullied and harassed" by ex-coach Andreas Heraf. Heraf resigned from his post, having been placed on leave since June when NZF received letters from 13 players who said they would not play for the national team if he remained in charge. Some of the letters alleged bullying and intimidation by Heraf, who also served as technical director of New Zealand Football.